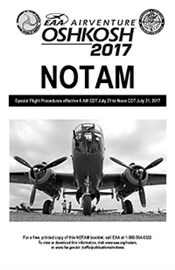 The 2016 AirVenture NOTAM specifies sign codes used to inform ground personnel of your desired parking area at Wittman Regional Airport. 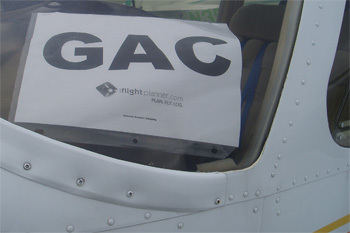 You'll need to display one of these signs for your arrival and another for departure based on your aircraft type and parking or camping preference. 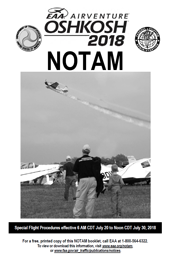 The EAA AirVenture NOTAM is required reading and should be part of every pilot's preflight preparation. Remember to print your arrival and departure signs before your trip and fly safe! We'll look forward to seeing you in Oshkosh! They had six weeks of intensive flight and ground training and endured hot and sometimes rainy weather during their training at Purdue University. From mid-May to July Dennis Akins, Young Choi, Warren Cleary, Deirdre Dacey and Lt. Andrew Kinard flew an average of twice a day every day that weather allowed. They attended daily ground school classes and waited out aircraft maintenance delays, but now their intensive training has come to a close and Akins, Choi, Cleary, Dacey and Kinard have all passed their check rides to become newly licensed LSA pilots. The five 2013 students received their pilot’s wings during Able Flight’s annual ceremony on July 30th at EAA AirVenture in Phillips 66 Plaza. Redbird Flight Simulations announced that pilots who meet SkyWest's published minimums of 1,500 hours total time, among other criteria, may complete a SkyWest Airlines pilot interview and flight-skills test at AirVenture. Interested pilots shall present their proof of experience to SkyWest, located directly behind Redbird in Booth #208, and undergo the verbal portion of the interview. Qualified applicants will then fly Redbird's full-motion King Air 350i simulator to demonstrate their airmanship, proficiency and IFR skills. While no King Air time is required or expected, proficient IFR skills are mandatory. Appropriate dress for the interview process is casual airshow attire. These will be real interviews and SkyWest may extend conditional job offers to those who successfully complete the process! The Pilot's Guide to Avionics, a publication of the Aircraft Electronics Association, features articles aimed at helping pilots make better avionics buying decisions. The colorful, spiral-bound guide also includes a directory of all AEA members, including certified avionics/instrument facilities. 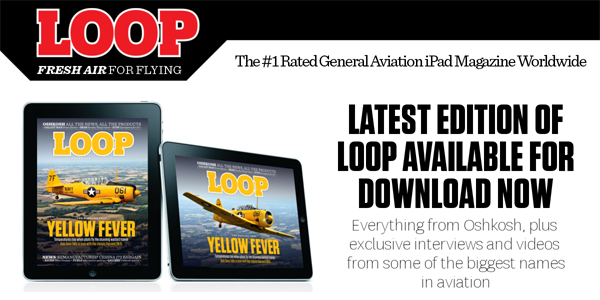 The 2013-14 edition of the AEA’s Pilot’s Guide to Avionics debuts during AirVenture 2013 and is available for free at AEA's AirVenture Booth, 2035/36 in Hangar B. 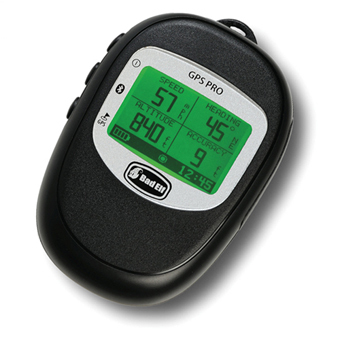 It also can be found at the 2013 AOPA Aviation Summit (Booth 1229), NBAA, and at any AEA Regional Meeting this fall. The IMC Club is partnering with Hartzell Propeller Inc. and its sister company Hartzell Engine Technologies to host an IFR Proficiency Center from Monday, July 29 through Friday, August 2 during AirVenture 2013 in Oshkosh, WI. 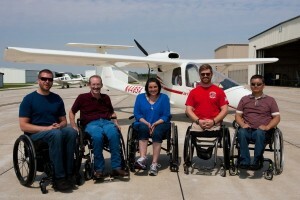 For more information visit on the IMC Club and their AirVenture 2013 events, visit http://www.imcclubs.org. The AirVenture NOTAM specifies sign codes used to inform ground personnel of your desired parking area at Wittman Regional Airport. You'll need to display one of these signs for your arrival and another for departure based on your aircraft type and parking or camping preference. 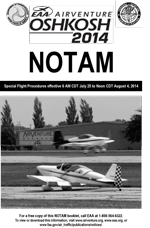 The AirVenture NOTAM is required reading and should be part of every pilot's preflight preparation. Remember to print your arrival and departure signs before your trip and fly safe! We'll look forward to seeing you in Oshkosh! 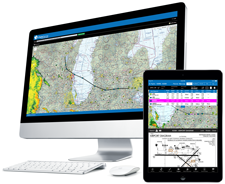 In February, iFlightPlanner and the IMC Club announced a stretegic partnership that will result in the availability of enhanced iFlightPlanner resources for pilots who are committed to maintaining the highest standards of instrument flying proficiency. The IMC Club is expanding its educational and safety outreach at AirVenture this year and will be conducting Open Chapter meetings each day as a part of their expanded presence, and volunteers are needed! Volunteers must be an IMC Club members and be willing to interact with potential members and the public at the IMC Club Oshkosh headquarters located in the Hartzell Chalet for at least two, 2-3 hour shifts during the week. 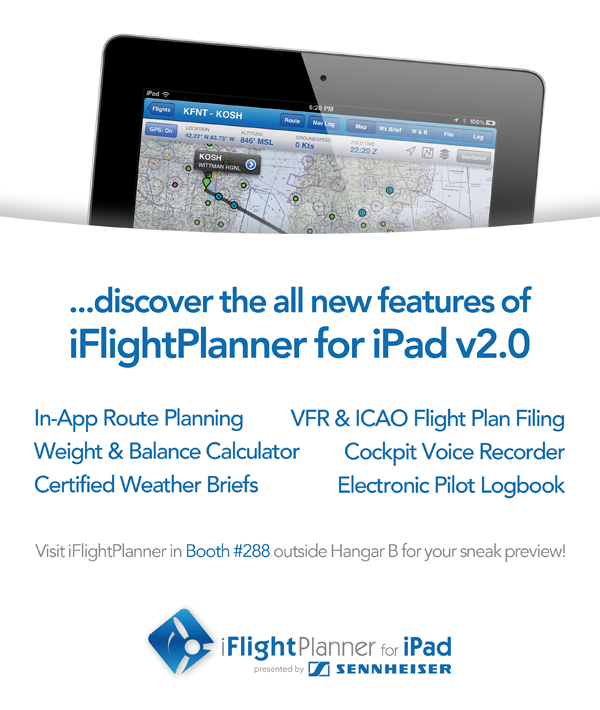 If you or someone you know is going to be at Oshkosh and are interested in sharing the message of safety and proficiency to the other instrument rated pilots, the iFlightPlanner Crew encourages you to sign up and volunteer! All volunteers will receive an IMC/Oshkosh T-Shirt, button, baseball cap and lunch served at the Club's AirVenture headquarters. EAA's new Eagle Flights program that allows adults to discover and explore the joy and fulfillment of flight received a major boost Thursday, as audio specialist Sennheiser committed major support to the year-old program. EAA Eagle Flights is an introduction and mentoring program designed for adults who have always been interested in learning to fly, but don't how or where to take that first step. The initiative uses the knowledge and support of nearly 1,000 EAA chapters that promote aviation and welcome new enthusiasts in local communities. FAA Acting Administrator Michael Huerta, during his first trip to AirVenture, made it clear to general aviation pilots that safety is No. 1. 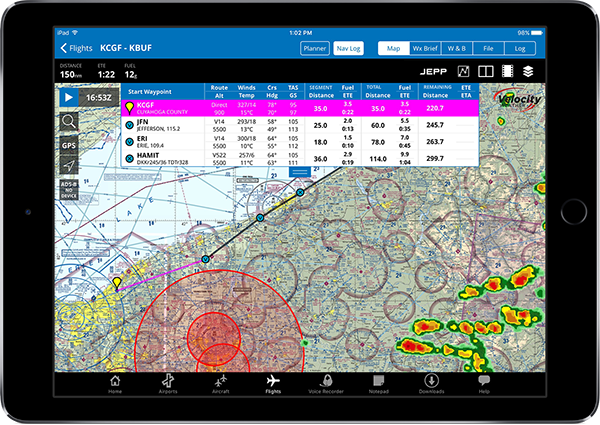 The iFlightPlanner Flight Wizard was developed to create an intuitive flight planning environment that promotes a safe routine. By making your route planning, certified weather briefs, weight & balance calculations, and flight plan filing as seamless as possible we virtually eliminate the possibility that you'll skip a critical step in the flight planning process. iFlightPlanner is built on user feedback, and we encourage you to contact us if there is anything we can do to improve your iFlightPlanner experience!